Appears with permission from The Lunch Box: Packed with fun, healthy meals to Our site is part of Gourmet Ads (www.gourmetads.com). If you are interested in running an advertising campaign with us, please contact the sales team at Gourmet Ads. All I can say is YUM! 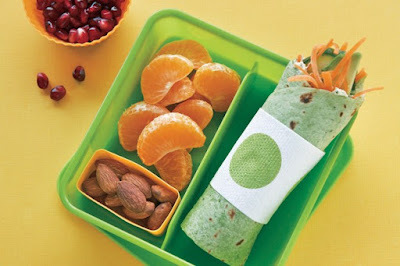 Thank you for sharing your easy and delicious Healthy Wrap with us at the Healthy Happy Green & Natural Party. I'm Pinning and sharing this!